IT’s Infinity V55 Edge™ Display elevates the incredible presence and performance of the Infinity V55 with revolutionary customizable marketing. 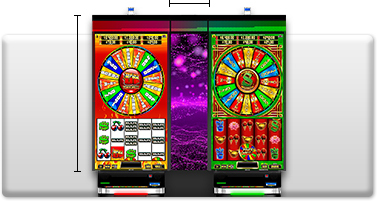 The Edge’s 4K resolution monitors unify banks into one cohesive, compelling package -- a casino marketing powerhouse. The Edge Display is IT’s answer to costly digital signage and outdated plexiglass wedge inserts. 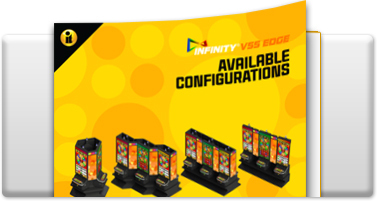 Edge is a brilliant 4K LCD video wedge that displays visually stunning motion graphics and custom casino branded content - built specifically for placement with the industry’s performance-leading Infinity V55 cabinet.